Marchwood Woolshed is a converted shearing shed. 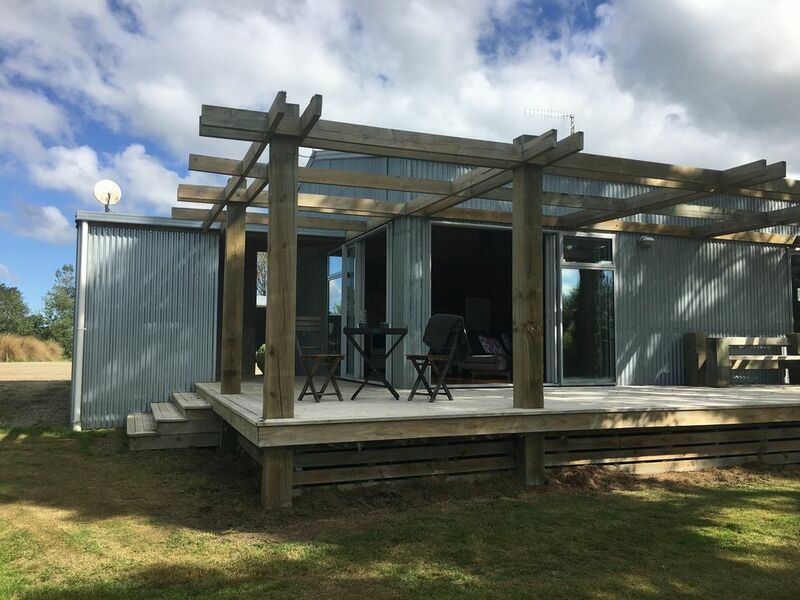 It is located on a working farm at Awamoko in the Waitaki Valley. Everything is ready for you to enjoy the sights and sounds of country life. Whether it be putting your feet up after busy day sightseeing or simply soaking up our beautiful scenery from the deck, a night at the Woolshed is a unique experience. Approximately 25mins from Oamaru. Highlights in Oamaru include Steampunk attractions, Little Blue Penguins, Victorian buildings, Whitestone Cheese, Scott’s Brewery, Riverstone Kitchen and many more wonderful cafes and restaurants. Approximately 10mins from the Alps to Ocean cycleway or beautiful Waitaki River. Located right in the middle of the farm yard, farm buildings located to the rear of the building and the garden and pond at the front, mountain views from the deck. Clear skies for star gazing.